I have always been a fan of historical fiction especially if it is written about the Civil War. I guess my love for this goes back to watching Gone with the Wind with my mom when I was a kid and the fact that history was always my favorite subject in school. I have read great books like The Killer Angels by Michael Shaara that weaves historical detail into a fiction book about the battle of Gettysburg. I also recently listened to the Land of the Lone Star series by Tracie Peterson. They were lighter reads that depicted family life and struggles in Texas during this time. 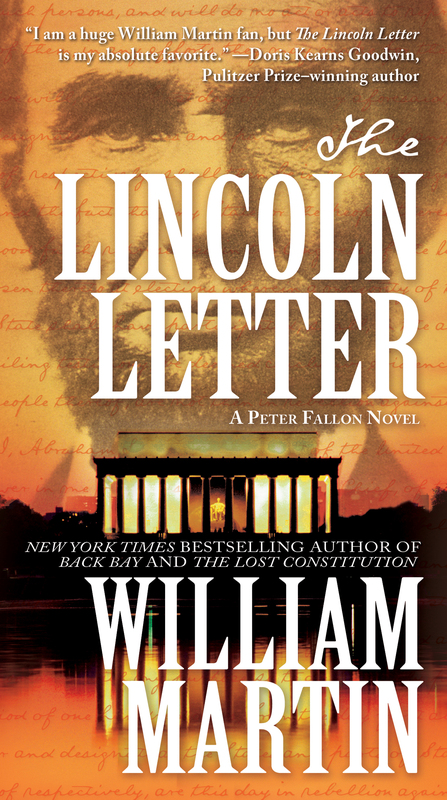 When I saw The Lincoln Letter by William Martin as I was shelving one afternoon, I knew it had to go home with me. This book combines current day action along with a storyline set in Civil War time. The hunt is on in both time periods to find the diary of Abraham Lincoln. Does this diary really exist and if it does how will the contents affect our nation? As I was almost finished with this book, I was notified that my hold for the movie Lincoln starring Daniel Day-Lewis was waiting for me at the library. As I watched it that weekend; I thought the timing couldn’t have been better. If you enjoyed that movie, I suggest you read The Lincoln Letter. There were many similarities between these two works but each was unique and worth the time watching or reading. If you have a suggestion of another Civil War historical fiction book or movie, add a comment because I am always looking for another good title. Have you ever read “The Oldest Living Confederate Widow Tells All” by Allan Gurganus? I read it a long time ago but your post made me want to read it again along with “The Lincoln Letter.” Thanks for the tip!